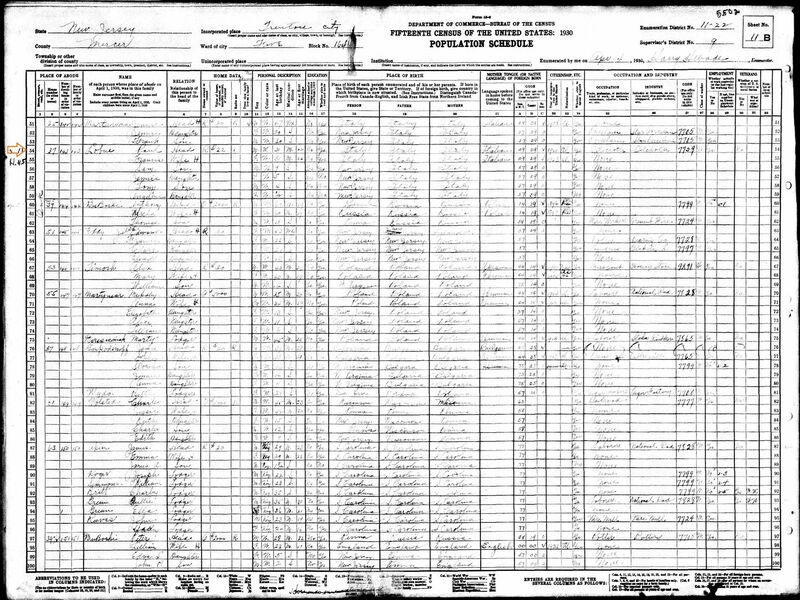 I'd like to find any records about my grandparents, great-grandparents and so on. 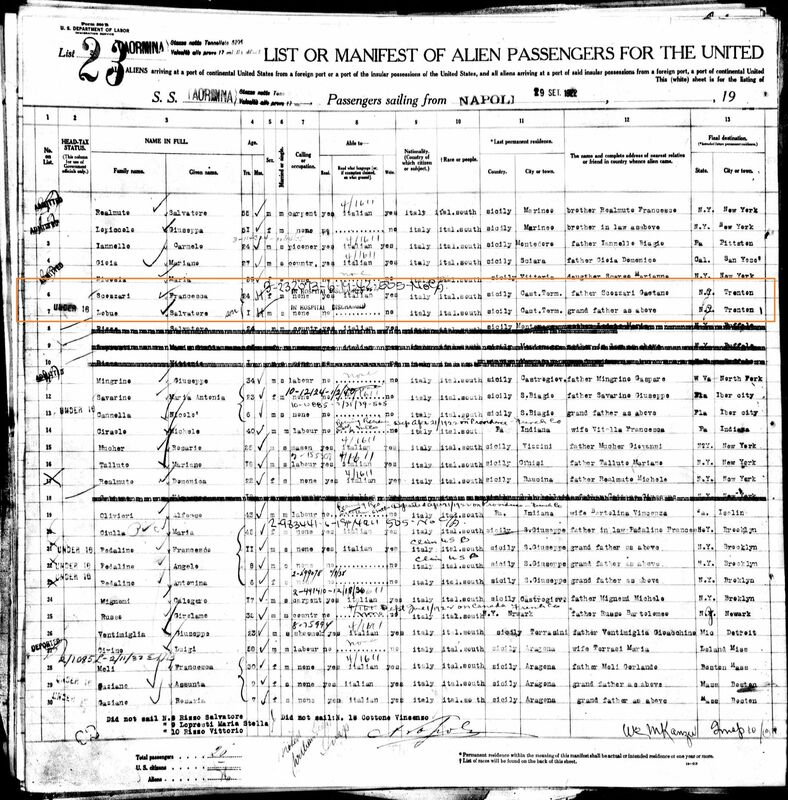 They came to America in the early 1920's from Casteltermini, Agrigento, Sicilia. I'm told they were born in 1898. They are named Paolino LoBue and Francesca (Scozzari) LoBue. 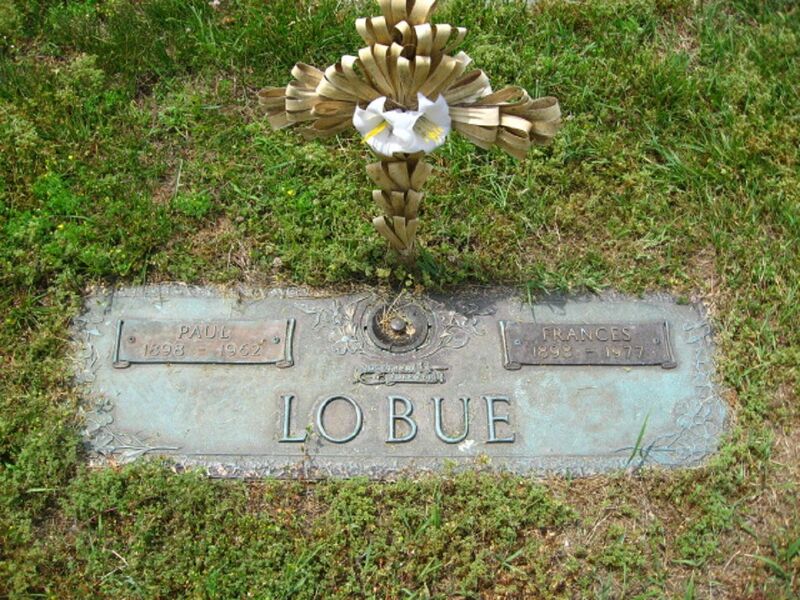 I believe they married there and then Salvatore LoBue was born in Casteltermini. 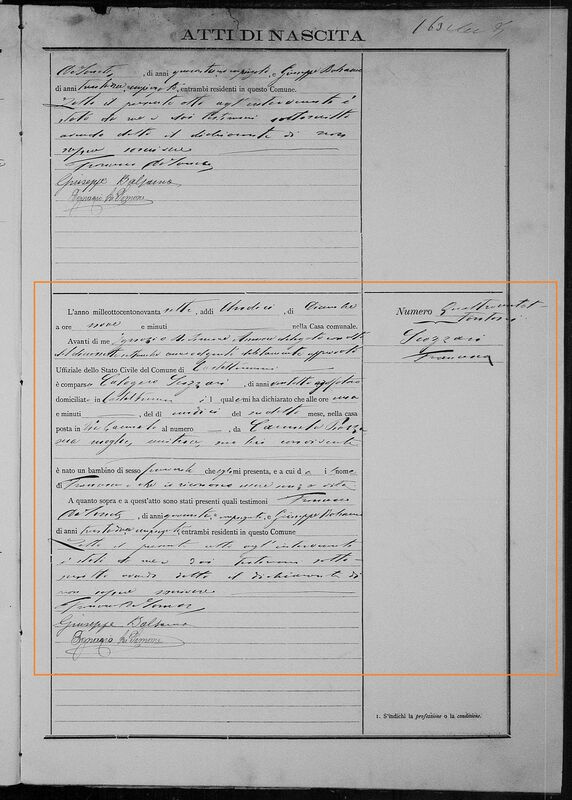 I think I could do better here than I can with Ancestry.com for the additional generations! I could use some help right now. Thanks for any response. While the search continues here are two sites that would help in your search. Especially in the communes your ancestors have come from. 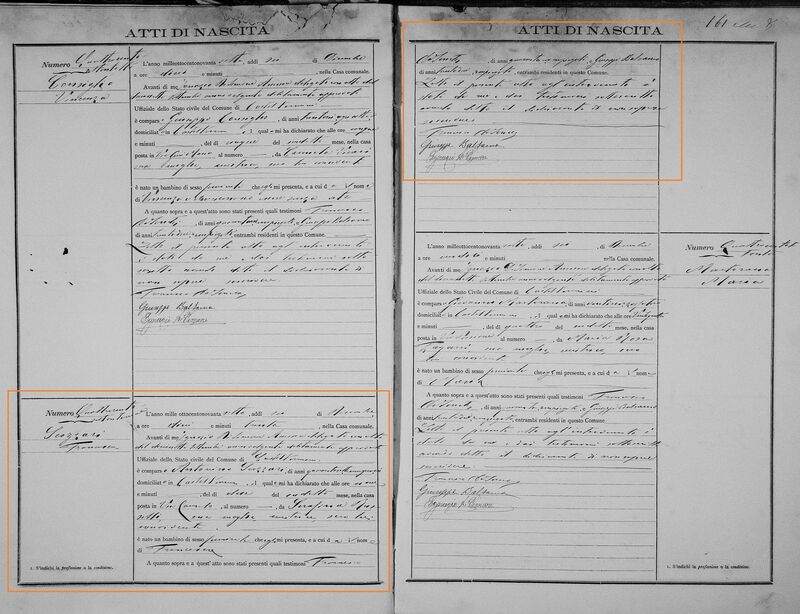 Here are the links in familysearch for the TWO records found for FRANCESCA SCOZZARI in 1897 births in Casteltermini, Agrigento. I want to thank everyone for your replies. I'm very impressed by the quick responses with clearly organized information including related source records. As for me, I'm hooked on ItalianGenealogy.com for sure. This looks like it may someone tie into my Scozzari branch, too! 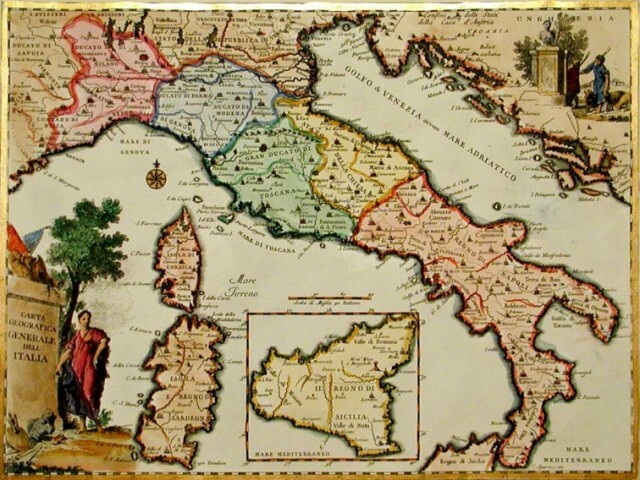 My great grandfather -- Born Giuseppe Scozzari in Casteltermini in 1906 -- had a first cousin named Francesca Scozzari. 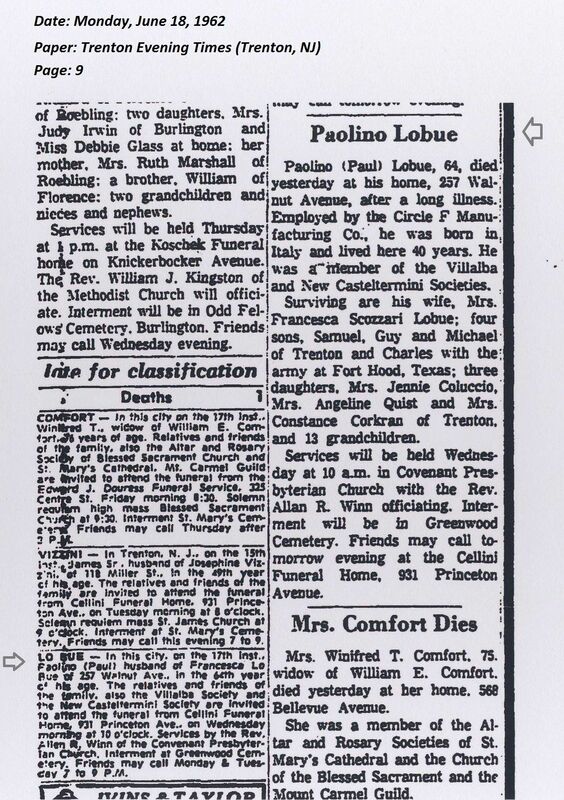 Francesca was the daughter of Antonino Scozzari and Serefina Rosselli and her birth certificate was posted above. To the original poster - gquist01 - Do you know of this Francesca Scozzari, or her parents, tie into your Scozzari's? I'm told that "we" (being my branch) had A LOT of family in Trenton, but have no clue how they're related. 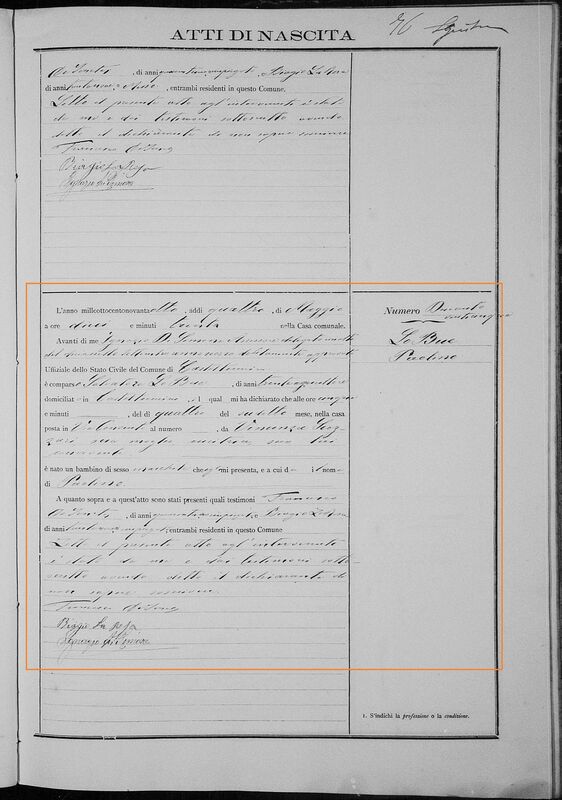 I've done xtensive research on the Scozzari's including dozens of trips to the NJ State Archives and have yet to connect the families. Also, I am in touch with Francesca Scozzari's daughter, Sophie. She was named after her grandmother - Serefina Rosselli. In case it rings a bell, Francesca Scozzari was married to Pietro Scaglione. I hope we can make a connection. 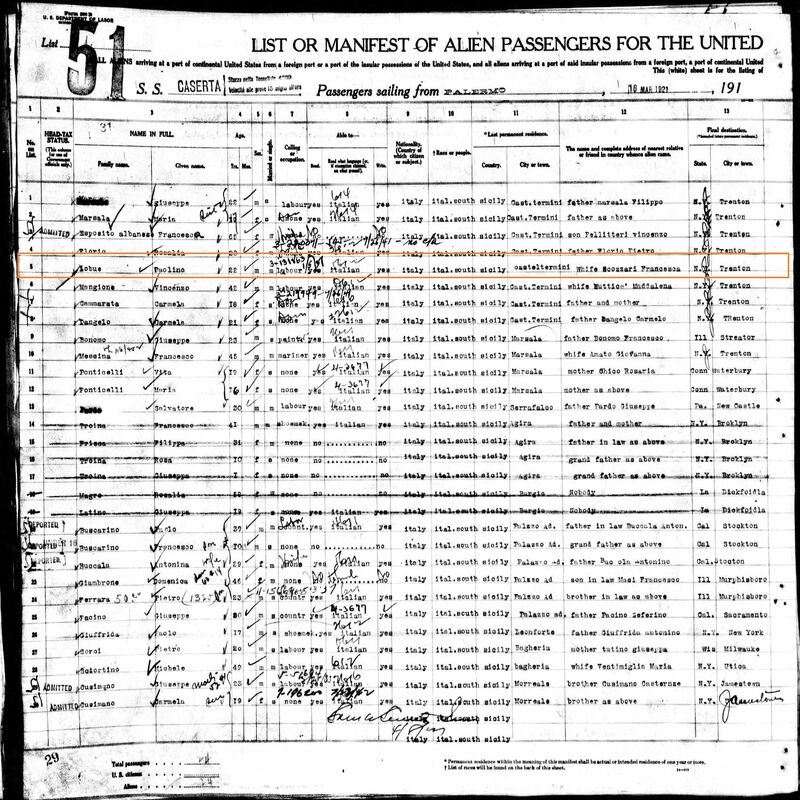 My grandmother was born in 1898. 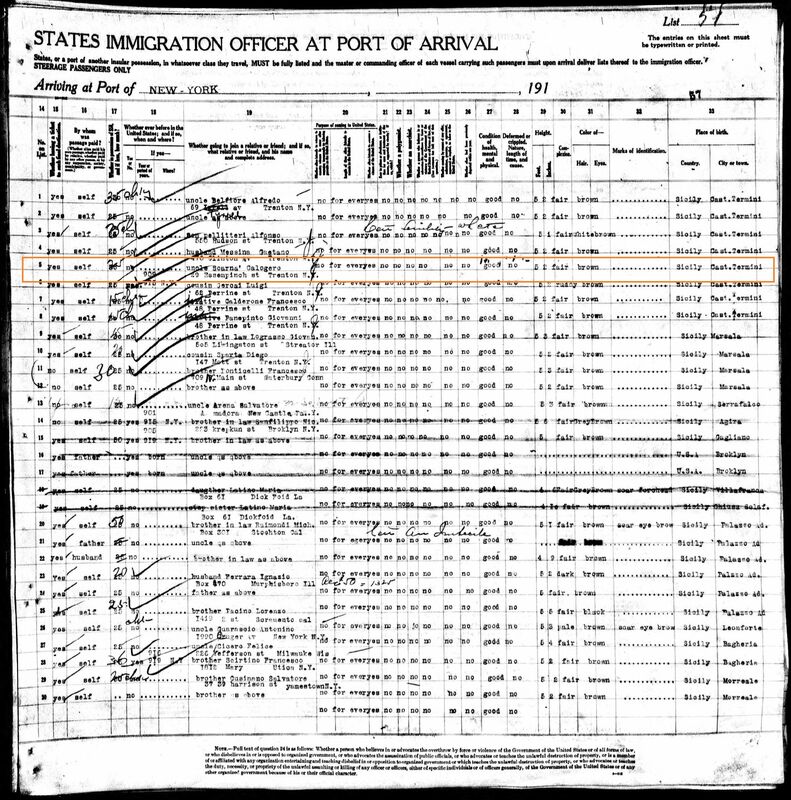 Her her husband, Paolino Lo Bue, came through Ellis Islandin the early twenties. I know she followed hom and arrived with their first son, Salvatore. 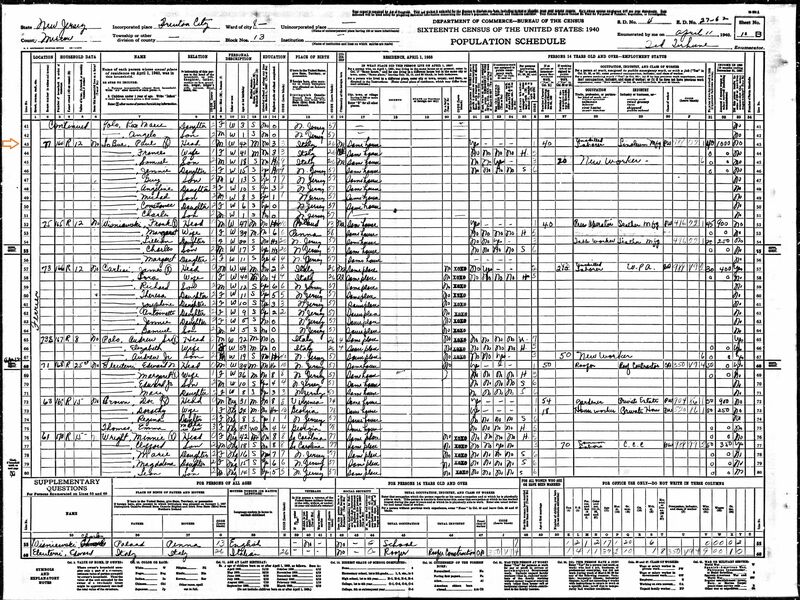 They appeared in the 1930 US Census in Tren, NJ with three children, Sam, Jennie and Tony. They had 'amercanizedtheir names to Paul and Francis. Oh. they were married in Castatienbre. 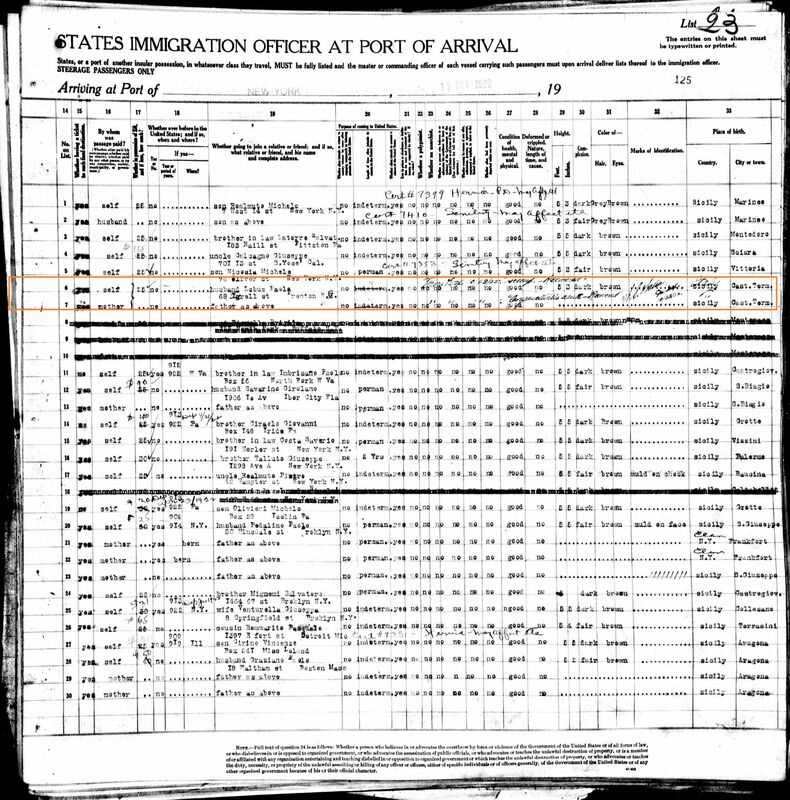 I think most of that information came from Ellis Island site and ancestry.com. The rest of the information I gatherd from Italiangeneaology.com. Why don't you read the earlier posts, as I got some new info from their replies. Sorry, but I am having problems keeping all of this straight. I'm doing my best to find the paternal family tree to present to my son from my first marraige with little sucess. I guess I'll need to contact the Agregento Public Records, once I can get ahold of them. I'm a rookie at this, as you can tell already.